Johnny Gargano: At the end of Takeover last night Gargano dislocated his knee, or at least that’s what Mauro Ranallo and Triple H are saying. I think that injury is a work, but as Lars Sullivan is currently showing us NXT has no problem keeping people off TV for worked injuries. I don’t think Gargano stays off TV entirely through War Games, just long enough to sell how broken he is after losing to Ciampa again. Aleister Black: Before he got hurt I believed the Gargano vs Ciampa vs Black match was going to be Black’s last match in NXT. Additionally, no NXT champion since Shinsuke Nakamura has challenged for the title after losing it. I think Black will be off all WWE TV until he gets healthy and be on Raw or Smackdown once he does. At most, we might get Black vs Lars as Black’s last NXT match, but that’s a match that can be a TV main event. EC3: At the time I’m writing this, I think EC3 will get called up this week. He has been main roster ready since before he got back to NXT, and I think putting over The Velveteen Dream was a fine final act for him on the black and gold brand. Plus Roman Reigns needs heels to go against (If you don’t believe me, just look at some of the heels on Raw right now). 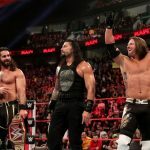 If the Shield triple threat match happens for the Universal Title at Wrestlemania, and Braun Strowman probably cashes in sometime before then, there’s still a lot of time to fit a Reigns vs EC3 match onto a pay per view. I think EC3 gets called up sooner rather than later and becomes what Bobby Roode should’ve been. 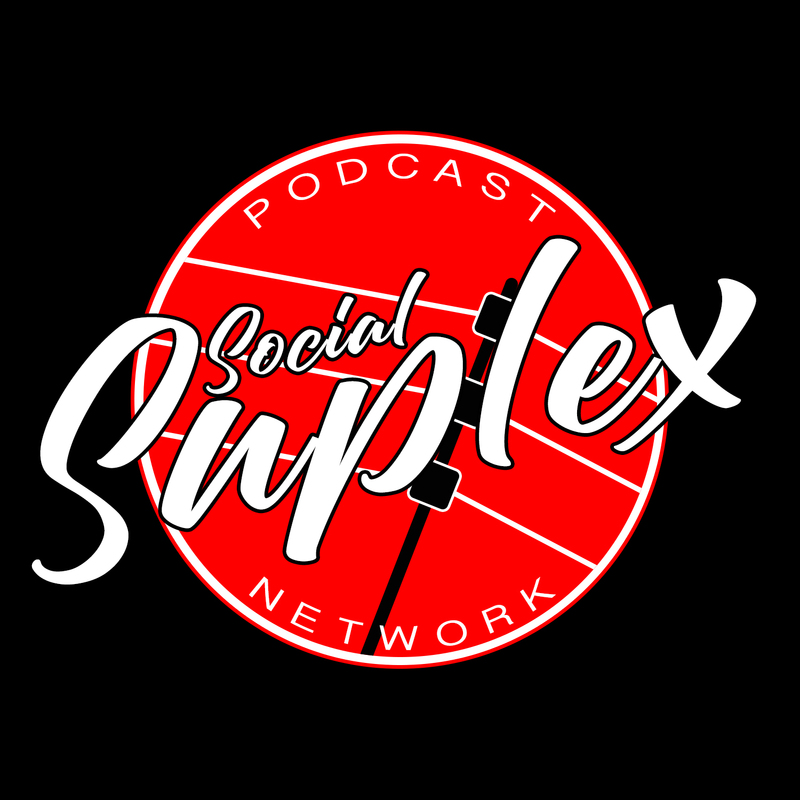 Shayna Baszler: Shayna Baszler is another person I expect to get called up this week, mostly because Baszler vs Ronda Rousey is a feud that’s already built. They were friends in real life, so WWE can play off that for a 2-minute promo package. Also, and this is a little bit of mental gymnastics on my part, but I’m assuming Baszler and Rousey, both being former MMA fighters, will have great chemistry in the ring. Shayna Baszler has done her job for NXT’s women’s division, it’s time for her to be the foil for the baddest woman on the planet. Now that we’ve covered who isn’t going to be on the show, I want to make a note about the War Games show as a whole. With 1 match taking up 9 of NXT’s biggest stars, it’s safe to assume some debuts might be made, or that some people who might not have gotten a chance otherwise will get a match on Takeover. We saw it last year with The Velveteen Dream, and I think we’ll see it this year with Matt Riddle and Keith Lee. I think the match times from last year’s War Games are also important to look at. Last year the War Games match went 36 minutes and 37 seconds, not including entrances. No other match got more than 15 minutes. This means NXT can take chances with wrestlers who don’t have experience in long matches, which we saw last year with Lars Sullivan. Who do I think will be in that spot this year? Well, you’ll just have to read to find out. To sum up my pre-prediction statements: The War Games match will be this show’s main focus. Everything else will have to fall into place after that. With that in mind, it’s onto the matches. This seems like a logical place to start, the match that the whole card will be built around that’ll probably involve the North American and tag team titles. So who will the three teams be? The Undisputed Era (Adam Cole, Roderick Strong, and Kyle O’Reilly) vs British Strong Style (Pete Dunne, Trent Seven, and Tyler Bate) vs Ricochet and The War Raiders. We saw these three teams teased on NXT a few weeks ago, with The Undisputed Era getting caught between the War Raiders and Ricochet, then getting beat down by Moustache Mountain when they tried to escape. And while last night could have been the end of the Undisputed Era vs Moustache Mountain feud, WWE put a backstage segment on their YouTube channel where Kyle O’Reilly and Roderick Strong confronted Ricochet, only to be interrupted by Pete Dunne. So are things over between Ricochet and The Undisputed Era? It doesn’t look like it. And with Pete Dunne wrestling on the pre-show last night, and being in this backstage segment, it’s safe to say British Strong Style have more to do on NXT. Finally, there’s the War Raiders. They warned Moustache Mountain that they were coming for whoever won the tag title match, and then they followed through by beating down O’Reilly and Strong after last night’s match. Where The Undisputed Era and British Strong Style are already established units, Ricochet is probably gonna be a lone wolf for a lot of the build to this match. After enough Undisputed Era bullying, I see Ricochet teaming up with Hanson & Rowe to be the “white meat babyface with a hoss tag team” unit that Roderick Strong and the Authors of Pain were last year. With Kairi Sane dethroning Shayna Baszler last night, the “Give Shayna the belt while we rebuild our women’s division” era seems to have ended. Baszler first challenged for the title in Philadelphia at a time when NXT’s only established women’s wrestlers were Ember Moon, Baszler, Nikki Cross, and Kairi Sane. Baszler is the only heel on that list, so the NXT booking team had her fight the other three women over the past 8 months, winning and losing the title in the process. And what happened in the 8 months since Shayna Baszler first challenged for the title? NXT built up multiple women, most notably Candice Lerae, Lacey Evans, and Bianca Belair. Of those 3, who is most likely to challenge Kairi in Los Angeles? Well, Kairi already had a tv feud with Lacey Evans, and Candice is a babyface right now so I don’t see her challenging for the title either. This leaves Bianca Belair as the pick. While Belair doesn’t have a ton of experience in the ring it’s clear that NXT higher ups see the star potential in her. Honestly, I can’t blame them. Bianca Belair has all the athleticism in the world, and she’s shown that she can cut promos (She put the whole women’s division on blast from the back of a cruise ship, for Christ’s sake). All she really needs is more matches under her belt and she’ll be a HUGE deal. Last year Lars Sullivan, a performance center trainee like Bianca Belair, got his first takeover match at War Games, and while it wasn’t a long match (Lars barely went 5 minutes with Kassius Ohno), it showed us that Lars would be a player in NXT for a while. I don’t mean to compare Bianca Belair to Lars Sullivan, but I do think she’ll be in a similar spot at this year’s War Games. Not a long match, but an important one. With Bianca Belair looking to make herself a star on this Takeover show, it seems right that we talk about the man who had a star-making performance at War Games last year, The Velveteen Dream. If you remember that match, which you should because it rocked, The Velveteen Dream made his Takeover debut against the undefeated Aleister Black. But Dream’s challenge to Black wasn’t about ending an undefeated streak, instead, Dream wanted Black to “Say [his] name”. And while the Dream didn’t end Black’s undefeated run, he got what he wanted, with Aleister Black telling him, “Enjoy infamy, Velveteen Dream” after the match. Black kept his streak alive, Dream was made, and the NXT audience was thoroughly sports entertained. And that brings us to someone who will likely make his Takeover debut this year, the King of Bros, Matt Riddle. Riddle was sitting ringside last night at Takeover Brooklyn 4, and it’s tough to imagine a future in NXT that Riddle isn’t a huge part of. Similar to Dream last year, I think Riddle will be pretty bulletproof once he debuts in NXT. Similar to Black last year, very few people on the roster are getting cheered against The Velveteen Dream right now. Matt Riddle is one of the few people who might get cheered when basking in the Velveteen Dream experience. The obvious worry with Matt Riddle debuting is how much NXT will let Riddle be, well, Riddle. I don’t doubt he could pull off a character where he’s “just a guy”, but I think WWE would miss a huge opportunity if they pass on the “King of Bros” character. I think I’ve said this with every Velveteen Dream feud, but the combo of these two is going to be electric. With Aleister Black, The Dream was the polar opposite who made the perfect foil. Where Black was the powerful, self-contained force, Dream was a tornado who forced anyone and everyone to pay attention to him. With Kassius Ohno, Dream was the cocky young star who wanted to take down the veteran. Against Ricochet, Dream was the star who didn’t need to be superhuman. Sure, Ricochet could fly, flip, and wow fans with his otherworldly athleticism, but The Dream commanded an audience without moving a muscle. And against EC3, The Dream had finally met someone like himself, a wrestler who could draw in audiences with the slightest movement. And how did The Dream respond? By wrestling EC3 in “Call Me Up Vince” tights with a brass ring hanging from his neck. The Dream saw EC3 say “I’m as big a star as you are” and The Dream said, “I’m too big a star for this whole show”. I can’t wait to see how The Velveteen Dream vs Matt Riddle gets written, because I know it’ll set both guys up to have a huge 2019. My first instinct was to say Keith Lee vs Matt Riddle, which would probably be a better match for Lee, but after thinking about it I think they can develop Lee and Riddle better if they keep them separate for a while. Additionally, I think Lee should get a monster babyface type push in NXT, and the perfect way to do that would be having NXT’s last monster put him over. The last reason I think Lee will face Lars is pretty self-explanatory, but it needs to be said: Both of these guys are friggin huge. I could see NXT wanting Lee’s first Takeover match to be against someone that doesn’t look completely overmatched the second they go face to face with him, and Lars is one of the few that fits that bill. Past that, there’s really not a ton to say about this match. Keith Lee has been on NXT exactly one time, and Lars Sullivan has been given a very one dimensional character over the past year. It’ll be two hosses going at it, which will always get a live crowd going. I’ll admit that this one seems like a bit of a stretch but please, allow me to explain. Johnny Gargano lost last night, and with both Mauro Ranallo and Triple H selling that Gargano hurt his knee, it seems like NXT’s main event scene is no longer about Gargano chasing the title. Tommaso Ciampa, on the other hand, is still champ and is still getting incredible heel reactions. So what’ll be happening at NXT’s main event level for the rest of this year? What I like to call the “Tommaso Ciampa Nuclear Tour”. Ciampa’s the biggest baddest heel in WWE right now, he’s the best heel in NXT history in my opinion, and NXT creative needs to keep Ciampa completely evil for his character to work. Because the NXT title won’t main event War Games, there’s room to go outside the box with this match. And my vision for going outside the box to keep Ciampa evil is this: Ciampa retires Kassius Ohno. I know, it seems crazy. NXT is a developmental brand, so there’s no reason to do retirement matches. The goal is to go to the main roster, nobody’s career is ending here, but that’s why I think it would work. Ohno can still wrestle at an incredibly high, main event level, but the reality is that he was brought in to be an NXT player-coach, and he hasn’t been on a Takeover since January. What’s even more important is something I’ve said before: NXT’s audience knows Kassius Ohno. They know he wrestled as Chris Hero, they know he’s one of the greatest independent wrestlers of all time, and putting that career on the line would keep the number of “LOL let’s cheer Ciampa” fans to a minimum. So I think Triple H/the rest of NXT’s creative team will give Ohno a title match as his swan song. Ohno can play the veteran who’s giving it his last shot, and then he can get a nice sendoff with some “Thank you Kassius” chants before transitioning into a full-time performance center coach. And Ciampa? He gets to be the only person to ever retire someone from NXT. It’s something he can gloat about to get heel heat that doesn’t revolve around Johnny Gargano, which Ciampa is going to need for the time being. And there you have it! 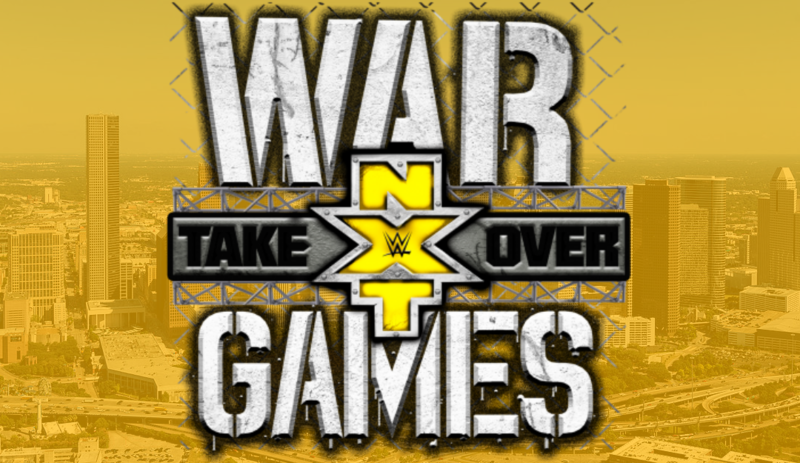 The predictions for what the card will look like at NXT Takeover: War Games 2, which I’m sure will be 100% on the money and won’t age poorly at all. The best part of writing this? Knowing that even if (when) I’m wrong, the show will still be awesome.